Each year at shopping centers, mega stores, and online Americans spend billions of dollars purchasing the newest version of their favorite products or the latest technical innovation. It is not often that product safety and design enters the forefront of that thought process for consumers. Far too often we hear the gut-wrenching story of a child who dies or is severely injured due to an unsafe consumer product. Add the family clothes dryer to the list of appliances that can pose a significant safety hazard to your family. A 4-year-old girl in Oklahoma died after this month after she was electrocuted by her family’s clothes dryer. What seems like a tragic, fluke accident actually occurs way more often than most parents would believe. Lily Minyard went behind the dryer while trying to get to a puppy that was stuck and was electrocuted when she touched a bare spot on an electrical wire that led to the dryer, officials told WAFF. She was taken to the hospital but could not be revived. There are two main concerns with washers and dryers: electrocution and suffocation says Danelle Fisher, MD, chief of pediatrics at Providence Saint John’s Health Center in Santa Monica, California. “Washers and dryers actually have some dangers affiliated with them that people don’t always think of,” she says. Not only can children be electrocuted by faulty wiring, but washer and dryer doors can also form a seal and close off a child’s air supply if they’re inside, Fisher notes. “Front loaders are dangerous because the kids can climb inside,” she says. “You really want to make sure kids aren’t able to do that.” If your dryer comes with a child safety lock, it’s important to use it, Fisher says. “You also want to make sure your machine is flush against the wall,” she adds. “Also, have your washer and dryer regularly maintained. That’s really important.” When someone comes out to look at your machines, make sure the wires and vents are correctly adjusted and there is no exposed wiring, suggests Fisher. Dryers have many safety features to prevent electrocution, but there are still risks, especially for older appliances. The U.S. Consumer Product Safety Commission (CPSC) has received reports of numerous suffocation deaths involving children who crawled inside latch type freezers, clothes dryers, combination washer/dryer units, picnic coolers, ice boxes in campers, and old-style latch type refrigerators. Most of the victims were four to seven years old. In all cases, the doors could not be easily pushed open from the inside. In some of the incidents associated with clothes dryers, the appliance was accidentally turned on while the child was inside. Frequently, the children were playing “hide-and-seek” and the appliance or chest provided a deceptively good place to hide. When the door slammed shut, the tight fitting gasket on most of the appliances cut off air to the child. But abandoned appliances are not the only items involved with accidents like these. Entrapment deaths have been reported in products in use or stored in the kitchen, laundry room, basement, or garage. Deaths also have occurred in ice boxes located in campers parked outside the home. The Federal Refrigerator Safety Act requires that refrigerators be capable of being opened from the inside. However, there may still be some appliances in the home that do not have these safety features. * Childproof old-style refrigerators and other appliances which are to be discarded or are in storage. The surest method is to take off the door completely and in most cases this is a simple process using a screwdriver. It is unlawful in many local jurisdictions to discard old refrigerators without first removing the door. * Keep children away from old-style refrigerators, freezers, dryers or coolers still in use. Lock the door to your utility room and warn children not to play inside these appliances. Since 1976 the Tampa personal injury lawyers at The Matassini Law Firm, P.A. 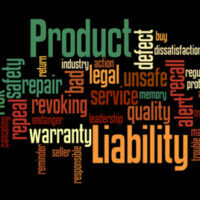 have been protecting the rights of consumers from product defects and safety hazards. For a free consultation regarding your injury claim contact us www.matassinilaw.com.